I had a huge problem on Saturday. There was almost an entire pint of organic heavy whipping cream in my fridge and it was about to expire. But I prevailed. 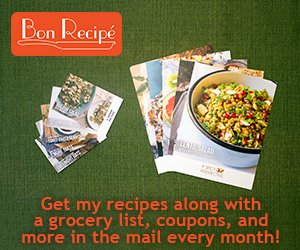 I went through cookbooks and blogs searching for the perfect recipe to experiment with. Whipped cream, ganache, caramel… for some reason I just wasn’t moved. 3) Truffles are kosher for Passover!!!!! Chocolate, cream and butter. No flour, no baking powder, nothing like that. I actually see truffles as an un-Passover Passover dessert. I’ve experimented in the past with ingredients like potato flour and matzo meal, but those desserts often have an “off” flavor. The problem with trying to replicate a normal dessert and make it work for the holiday is that it will never come close. Desserts that are kosher to begin with, those are the ones to go with. Flourless chocolate cake- yes. Kosher-for-Passover chocolate chip cookies- not so much. Granted, some of the toppings I used aren’t actually acceptable for those who follow Passover strictly (for example, peanuts aren’t kosher for Passover), but they can easily be modified to be so. What would you use to coat your truffles? I actually like covering truffles in plain bittersweet chocolate…and infusing the inside with things like fruit purees and nut butters :). truffles should be at every seder! I love truffles. The ones we the sprinkles are super cute. Great idea for not wasting food! Your truffles are so beautiful! And I love your presentation in the sweet glasses. Hope you have a great holiday! Oh my gosh oh my gosh oh my gosh. How beautiful are these?! I love them!! Oh my word, how good do these look?! I want these for breakfast. ;) I especially love the truffles with the sprinkles. So colorful and pretty! I had truffles on the brain this week too! Mmm! Can’t go wrong with chocolate dipped in chocolate! Ummm.. screw my diet! I want these. A hundred of these! Good job. I love truffles! I need to make them and soon! I love the confetti truffles! They are just so much fun! Love the kosher for passover dessert idea! I will definitely make these this Passover, possibly for this Friday night. Thanks! I adore the sprinkle coated version. ;) I always do a classic coat of chocolate on my truffles…though what type of chocolate varies….I do play around with the garnish quite a bit though. o.m.g.– i love truffles, and these look like a great recipe. thanks for sharing!! wow! you definitely put the cream to good use! these look amazing! I think I’d dip mine in chopped nuts! So completely delicious and adorable! I’m all over truffles–they are the perfect thing to make people think you’re magical. Wow! These look incredible. I would love to roll them in toasted hazelnuts. I absolutely adore truffles and these look really delicious. The ones with the sprinkles are so cute! All the oblong, dented truffles are mine, all the nice, round ones are Lauren’s! you need to start an online store so we can purchase this goodness! I would use bits of heath bar – YUM! These look amazing, perfect to give as a gift! These truffles, though, are gorgeous! I’m glad you put that heavy cream to good use! Brilliant way to polish off that heavy cream! Love the sprinkles. Love milk chocolate. Your trufffles are the best EVER! my stepfather is jewish and i’m going home for a sedar this weekend, how nice that i can now make a delicious dessert. the sprinkles are charming, but i love the idea of chopped nuts or maybe pretzels or other candy chopped up. hmmm reeses’s pieces or snickers? so many possibilities. Good call on making truffles! I love them so much! Mmmm! Your toppings look great too! I’m not even sure I need three reasons :) These look awesome! These are gorgeous! You had me at one reason! These truffles are so cute! Love your site, I am going to have to run around in here and look around, so many yummy treats! I had never had peanut butter with blueberries but talk healthy, yum! yum! these sound amazing and are so pretty! !